Cosplay 101 was a great panel at Salt Lake Comic Con for one big reason – the panelists. The group included local favorites Ash Sweetring, Izzi Keener, Megan Golden, Tom Carr and Julie Johnson. Each are well-known in the Utah cosplay community for some of their iconic cosplays, but they’re also just an incredibly dynamic and funny group. As someone who doesn’t cosplay but appreciates and respects it, I really enjoy this panel each time it comes around. 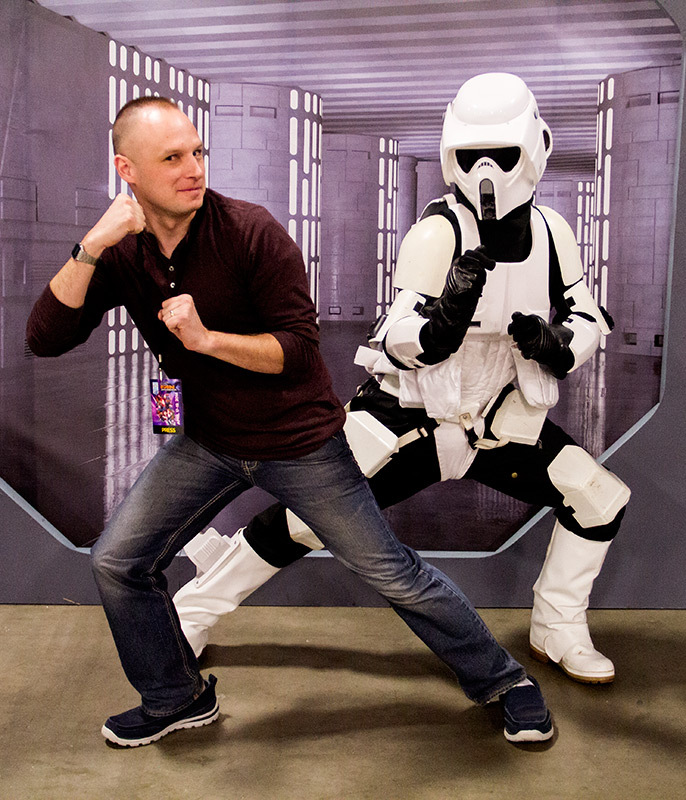 Unfortunately during Salt Lake Comic Con last September, the panel was held right when the con started, but because of some registration line disasters, most attendees were stuck in line outside and the panel wasn’t well attended. However, this year was a night and day difference and proves how much interest there is in cosplay. The panel was held in a large room (Ballroom C) and the room was pretty full considering it was the last panel of the day. In fact, several cosplay panels were held throughout the con and all were pretty packed. 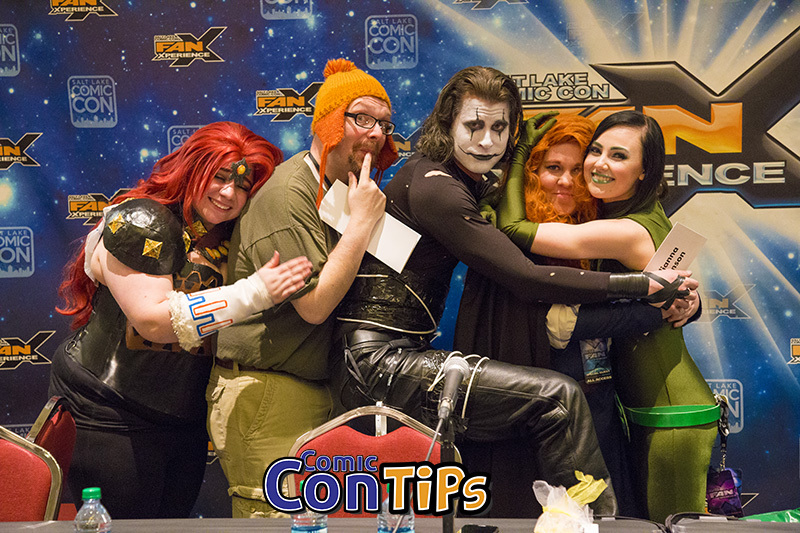 The panel featured topics about coming up with your first cosplay, where to find inspiration for costumes, good materials to work with and where to get them, how to find help with your project, favorite cosplays, dream cosplays and more. The panelists were informative and have experience with everything from creating simple costumes to epic, complex armor. But again, the success of the panel really comes down to the personalities of the panelists. They were a great collection of a wide range of voices, but you could hear the shared interest, commonality, and friendship. 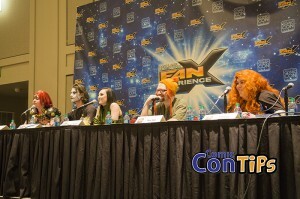 I really enjoyed the panel and will be attending it again during Salt Lake Comic Con in September.